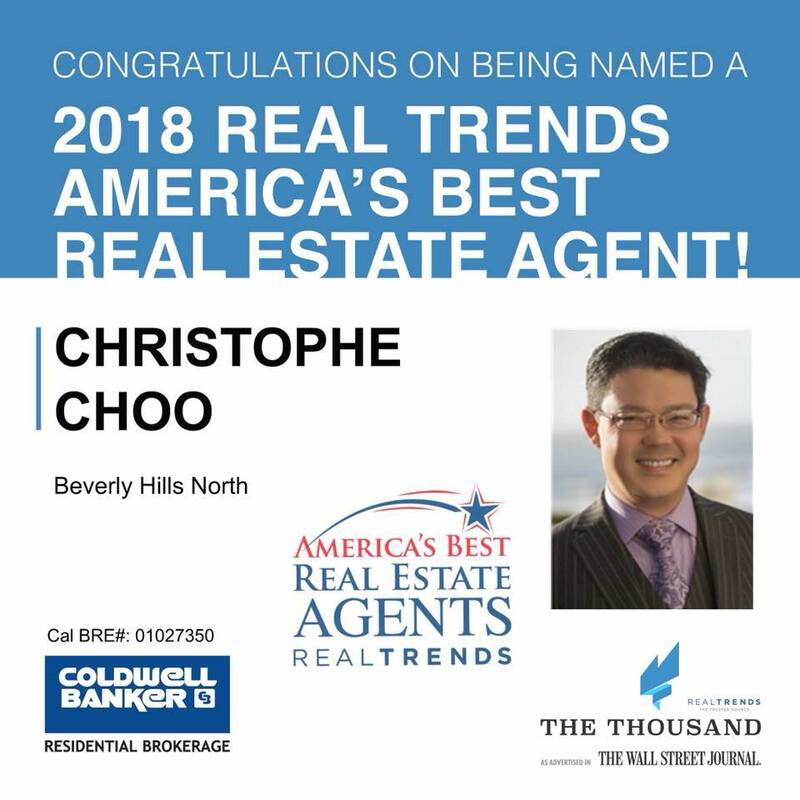 Christophe Choo is an award-winning, top-producing luxury real estate agent with over 30 years of experience serving Los Angeles’ most elite Westside neighborhoods. He is known for his charisma and cosmopolitan flair, but is best known for breaking sales records in the most prominent Westside locations spanning the Platinum Triangle, including Beverly Hills, Holmby Hills, Bel Air, and all of the premiere Los Angeles neighborhood’s. Christophe’s endless passion and enthusiasm for real estate has earned him a coveted position among the nation’s best real estate agents, with more than 500 real estate transactions closed over the course of his career. 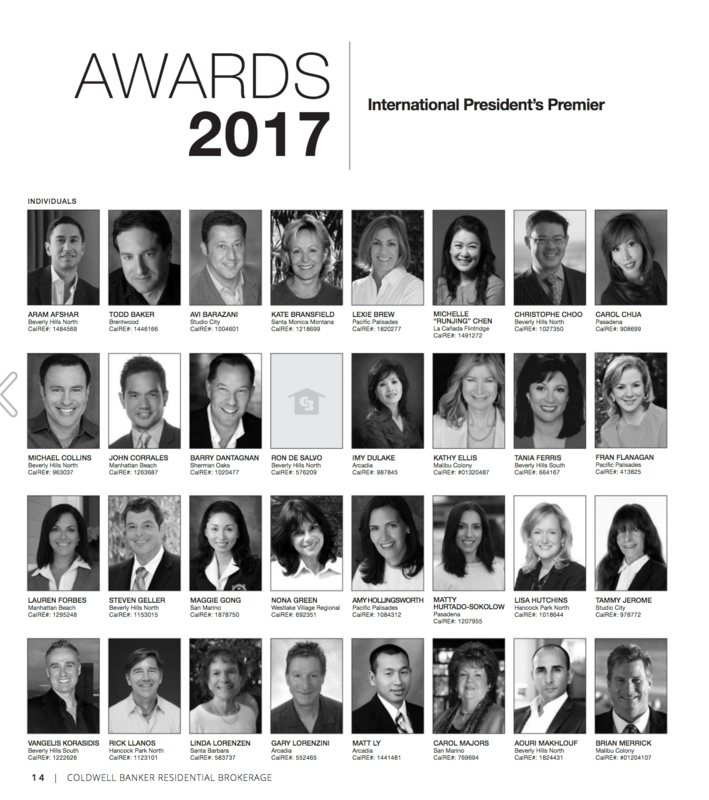 For many years, he has enjoyed “top producer” status in the elite Coldwell Banker Previews® International Presidents Premiere, which honors the top 1% of Coldwell Banker agents worldwide. Consistently ranked in the Top 100 at Coldwell Banker Global Luxury. His innovative sales and marketing techniques, combined with in-depth knowledge of the marketplace have consistently positioned him among the top agents in the industry. 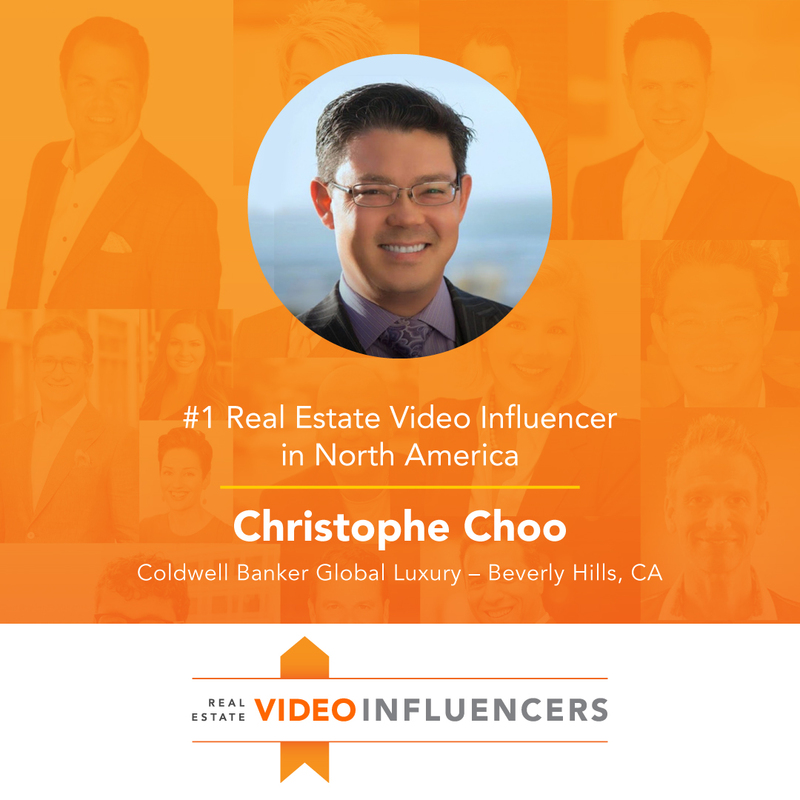 Christophe was voted as the #1 Real Estate Video Influencer in North America in 2018 as well as one of America’s Top Agents by Real Trends and the Wall Street Journal. He brings a high level of sophistication and culture to his business, since he has traveled all over the world and speaks fluent French and Spanish. It is not surprising why his clients—which include an international who’s who list of foreign investors, business executives, celebrities, royals and high net worth individuals—continually seek him and his full-service real estate team. Specializing in representing foreign buyers from Asia & Europe Christophe Choo represents his clients in buying and selling luxury estates, single-family residences, high-end condominiums and income properties in L.A.’s most sought-after locales. Valued as much for his success as for his luxury market expertise, Christophe is a frequent guest speaker at organizations and events such as the Asian American Real Estate Association, the Associated Realty of the Americas, Coldwell Banker International Conference, Generation Blue Conference for Coldwell Banker and Your Coach Conferences with Tom Ferry. He has also a regular cast member on the popular HGTV’s Real Estate show Selling LA and has appeared on several national television shows, including Bravo’s “Million Dollar Listing,” “Beautiful Homes & Great Estates,” Luxury Lifestyles TV, Open House TV on NBC, Behind the Gates and “The T.O. Show” on VH1. A popular figure on the national real estate scene, he was the only agent featured in a recent national Coldwell Banker television marketing campaign. He has also been touted internationally as a “real estate social media rock star,” logging in over 51,000 hits a month on his Web site and over 7,300,000 views on his YouTube channels & videos with over 23,000 YouTube subscribers. From the small screen to his clients’ front door, Christophe Choo is dedicated to providing the best real estate service and expertise in the business. When buyers and sellers choose Christophe Choo as their real estate agent, they are getting the breadth of experience, extensive market knowledge, and impeccable negotiation skills of one of the world’s most dynamic and talented real estate agents. Christophe Choo offers only the best…for the best. A native of Los Angeles, yet raised in Europe, Christophe gained valuable experience traveling the world as an international fashion model before beginning his real estate career at age 19. Fluent in French and Spanish, Christophe’s continual pursuit of education and training, together with tri-lingual abilities, are assets that benefit his customers. His congenial personality makes him welcome wherever he goes and his client list includes not only local buyers and sellers but also some of the most prestigious and influential individuals & CEO’s from many continents.Christophe and his team believe that every client is royalty and should be treated accordingly. Christophe also believes in giving back to the community by giving of his time and money to Covenant House. With unparalleled enthusiasm and boundless energy—he pursues the highest goals for himself, his team, and his clients.A skilled and certified negotiator, who combines personal style and sensitivity, innovative ideas with bottom-line results. Christophe has broken sales records in many of Los Angeles’ Westside neighborhoods. His career has encompassed a broad scope – estates, single-family residences, condominiums, income and commercial properties, local, national and international sales. 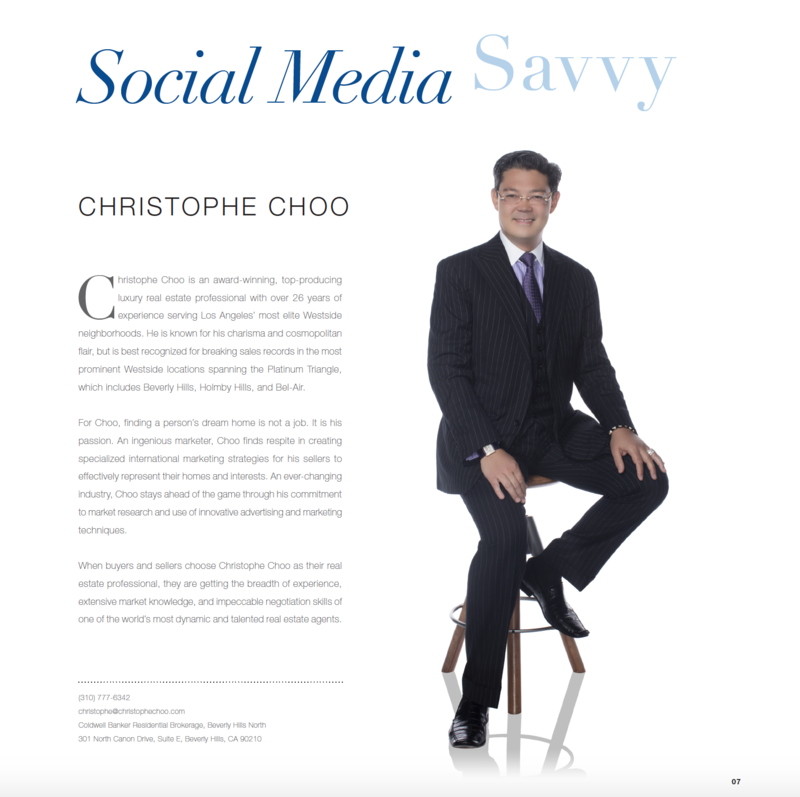 Christophe Choo provides an unsurpassed level of personal services to his clients. 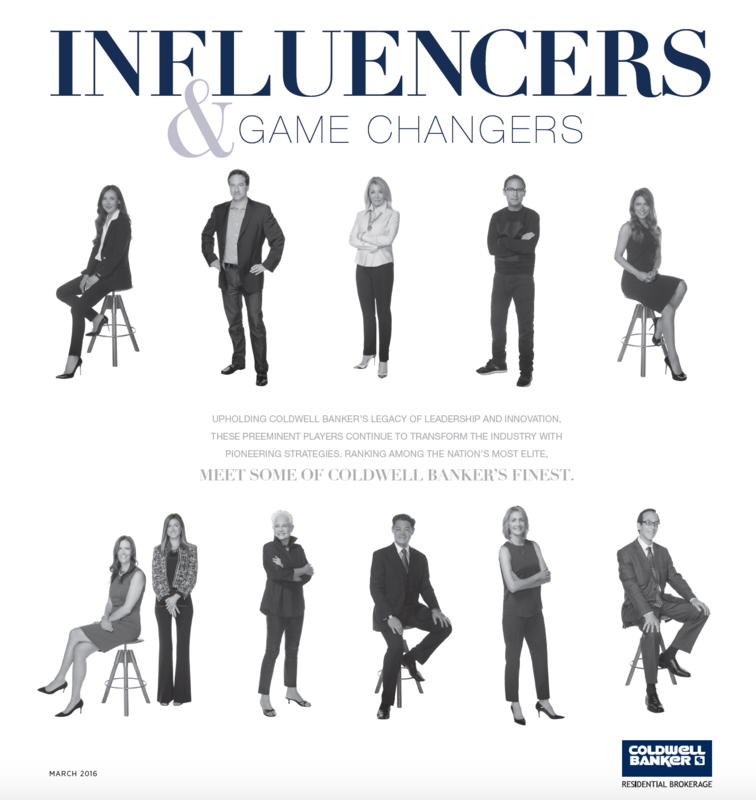 With Christophe Choo and Coldwell Banker Global Luxury…EXPECT More and GET MORE!